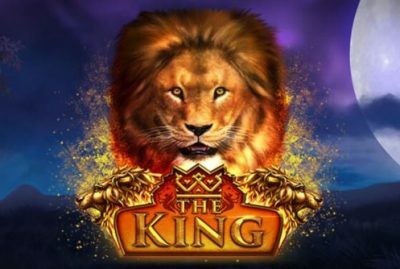 The king of the jungle takes the main attraction spot in iSoftBet’s Bitcoin slot, The King. Indeed a majestic creature well known as the royal of the animal kingdom. With bravery, strength, and courage as a few traits given to the mighty lion. We find ourselves in the sunny savanna of Africa. 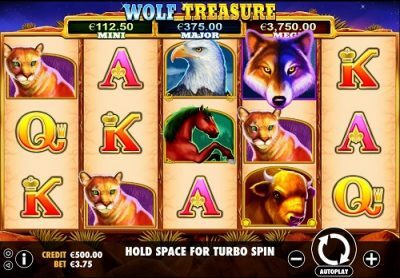 With a market saturated with safari-themed slots, isoftbet has to pull something extraordinary out the hat. The visuals are great with that once in a lifetime African sunset in the background. Our reels are seen on a golden frame with our mighty king ornating the top corners. The sound effects are roaring and are matched by a few bonus features which are discussed later. Our majestic King Lion is the wild symbol so be sure to keep an eye out for him! This Safari outing takes place on 5 reels and has 25 pay lines with medium volatility. Which helps result in some excellent wins. 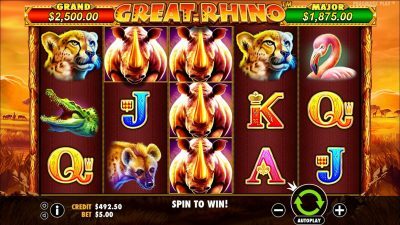 The magnificent animals that feature in this game are the Elephant, Rhinoceros, Zebra and a Yak. The lower paying symbols are the playing card numbers. The Paw is the Scatter symbol. The Wild is the Lion himself. He lands in stacks and can replace any symbol except the Scatter. Lastly, there is the unique Cash Wheel Symbol which enters you into the Bonus round. The Control Panel blends completely into the background allowing the actual slot to shine. All the usual controls are available to maximize your gaming experience. By getting three Paw Scatter Symbols, the Free Spins feature will be triggered. The King Spin allows the player to earn up to 8 free spins. During this feature, the reels spin in sync and will display identical symbols. If three or more Cash Wheel Scatters appear on the reels, the Free Spins will be triggered. Landed Scatters remain locked on their positions, while respins perform as long as new Cash Wheels land. When the spins stop, the Cash Wheel Bonus starts. If six to ten Scatters appear, the Super Cash Wheel starts. Eleven to fourteen Scatters give you the Mega Cash Wheel. Should you get the full board of 15 Scatters on the reels, you will get the Epic Cash Wheel, and this is when you get to win the biggest prizes. With eye-catching graphics and heart-pounding sound effects, you are sure to be on the edge of your seat, paired with the bonus features we have one roaringly fantastic Bitcoin game. The adventures of The King are available on all devices. Be sure not to miss iSoftbets extraordinary offering.